Locatoweb page for Ronny Munthe Johannesen (aka TheVikingRider). 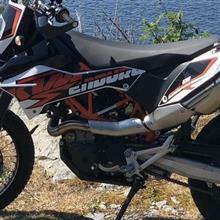 Based in Haugesund, Norway and my ride is a 2018 Honda CRF250L. Get your own track channel with photo, description and all your tracks. Login to the website and setup a custom profile today!